Earn $1.69 in Rewards credit (169 points) What's This? 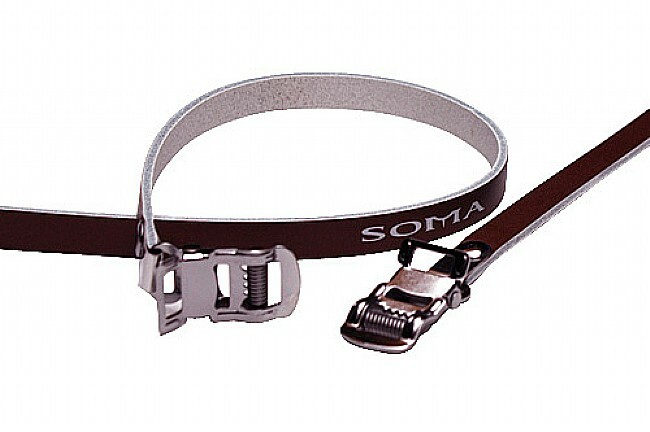 Slick looking classic leather toe strap for traditional clip and strap style pedals. One pair of single straps. Available in Gloss Black with White underside or all White. Its a toe strap - I used it as a toe strap. What else can it be used as, I'm curious. Leather is quality, and the color matches my bike. adds security to the toe clips I purchased and helps keep my feet positioned on the pedals without fear of slipping off when cranking. 10 of 11 customers found this review helpful. 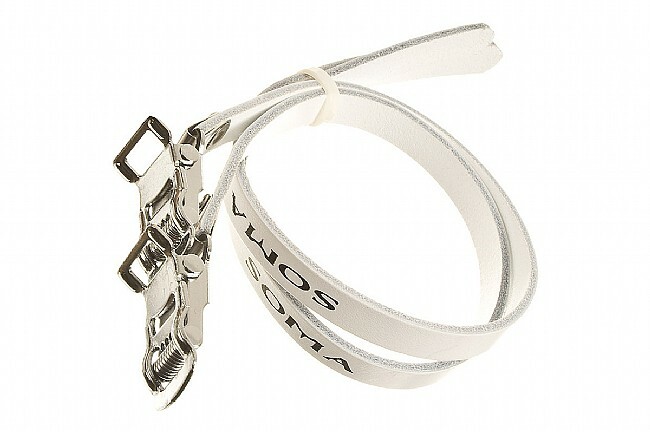 The clasps slip, and have to be tightened regularly. I'd hoped the leather straps would be more durable than the nylon ones I'd been using, but they are already beginning to tear where they thread through the pedal. They do look nice, though.